Carole Mitzman was raised by a vain and snobbish mother and abused at school as a ‘thieving little Jew girl’. Thrown out of her home at 18 just for going on a date, she was exploited by a succession of men who variously robbed her, two-timed her, abandoned her and tricked her out of her house. Yet Carole found the courage to come through, to explore her Jewish antecedents and to find peace and happiness, first by building a new life in Israel and finally by returning to her English homeland. 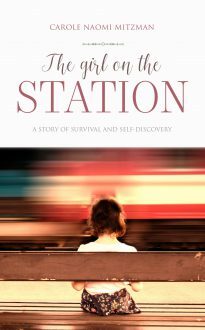 “I have been a daughter, a mother, a grandmother and now I’m a great-grandmother, but inside I am still that little girl sitting on the bench at Rickmansworth station, searching the trains in vain for the mother who never came”.